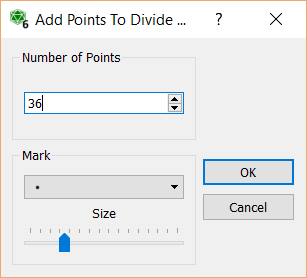 The same user that suggested the conic section tools also suggested this new feature. 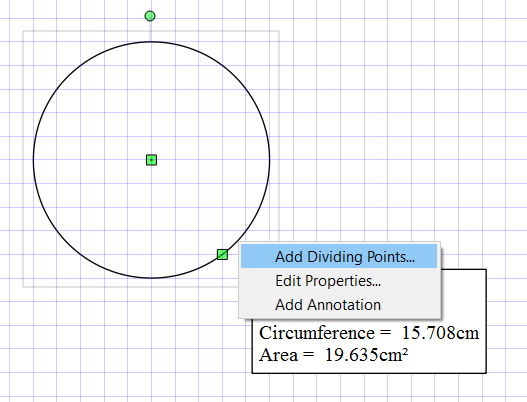 FX Draw 6.003.2 also includes a new feature which adds point to circles. 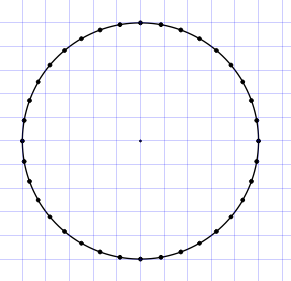 Draw a circle and select it. When you right click on the circle you will be offered a new suggestion to add dividing points. Tell FX Draw how many points to add. FX Draw will add the points to the circle.